We love the look of this sunny cactus patch. It's pretty much perfect embellishment for anything, and looks great with this rich cardinal red! 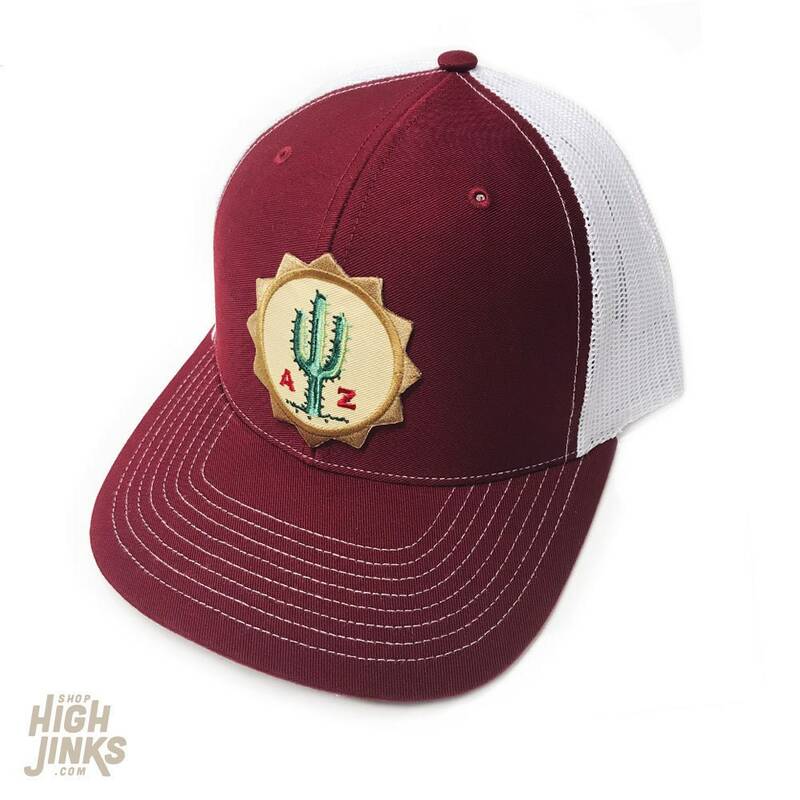 These retro style trucker hats are perfect for hitting the trails, or just perching on your favorite patio.